This invention employs the the use of optical illusions onto clothing. It has several utilities depending on the property of the optical illusion used. It will not only draw attention to the wearer but can also be used for body modification. It will make certain body parts appear larger of smaller then they are through proper placement and size of the illusion. 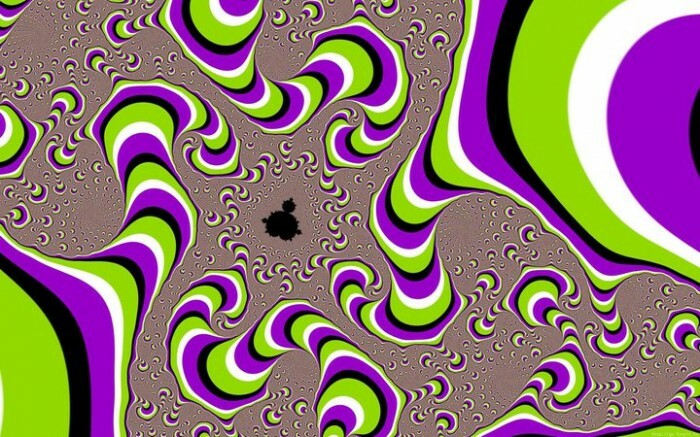 Some optical illusions will make the garment appear to move! Anomalous motion, Spiral, Rotational, Scintilating grid, Geometric, Positive after image blurs, Contrast Polarities are just a few allowed and covered under this patent. 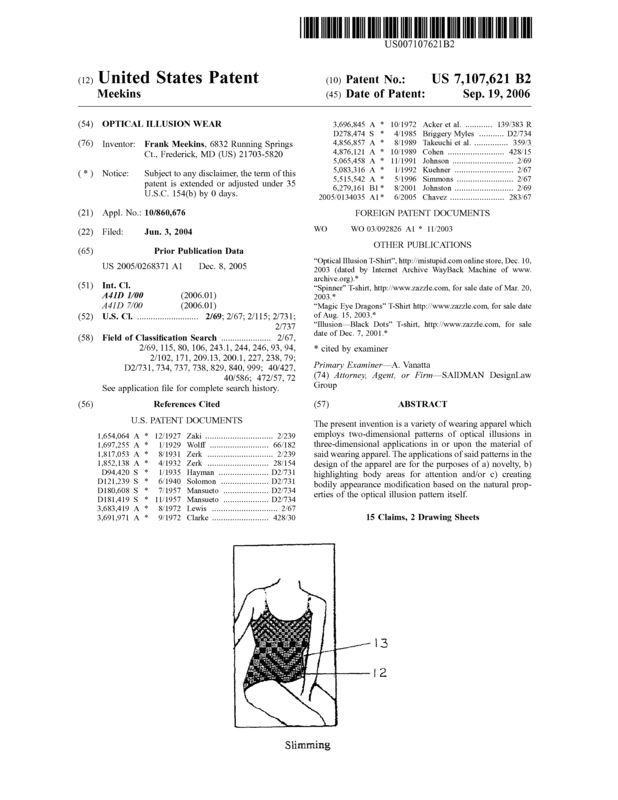 This patent includes mens, womens, childrens as well as pet clothing. Log onto Link and search Patent # 7107621 to read all about it. These patented clothing items have been professionally manufactured and never sold in stores. I would be willing to entertain a license agreement with royalties or an outright sale of the patent. Page created at 2019-04-21 18:57:54, Patent Auction Time.